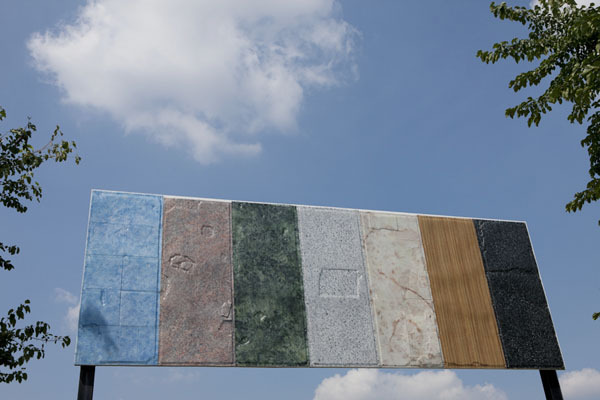 Seven ordinary building materials, such as tile, granite, and marble, are transfigured into individual vertical planes of vacuum-formed plastic. 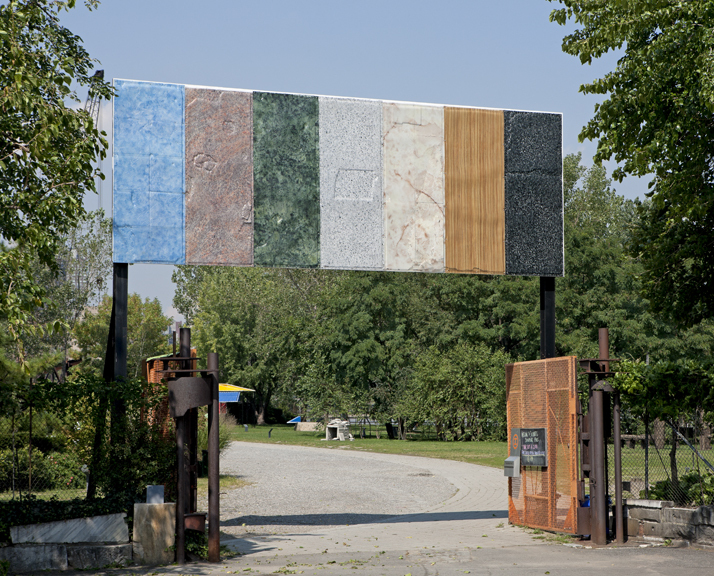 These seven planes come together, like tall building blocks, to create an abstracted landscape, which serves as a billboard above the main entrance to the Park. The Broadway Billboard is a marker for the Park that can be seen from a good distance along the avenue.